The big Indiana craft beer event of the year takes place in a little over five weeks from now. 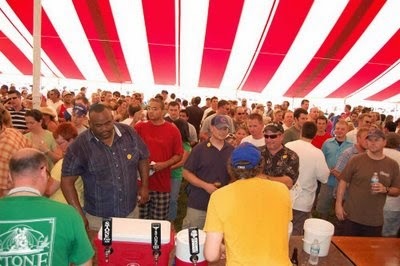 On Saturday, July 19, the Brewers of Indiana Guild will once again stage the Indiana Microbrewers Festival. Where: The grounds of the Indianapolis Art Center and Optimist Park in Broad Ripple (820 E. 67th St., Indianapolis). When: 3 to 7pm (2pm admission for purchasers of Early Bird tickets). Where can you buy tickets? At the Brewers of Indiana Guild's website.